1. The graphics card power supply uses three FP solid capacitors to make the video card power supply more stable and safe. 2. The riser card has a large 4PIN connector to secure the power supply. 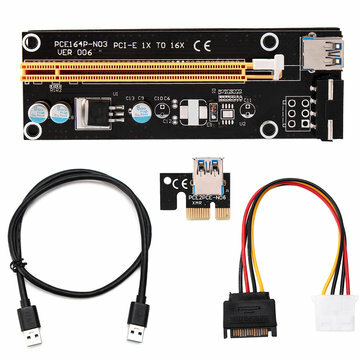 You can use SATA to switch from the big 4Pin cable to the SATA port to make the video card power supply independent from the motherboard, thus reducing the burden on the motherboard when connecting multiple graphics cards. 3. Graphics slot using high quality connector, the graphics card to contact better. 4.PCI-E connector with multi-layer shielded wire, the longest 3M can be connected without attenuation signal. 5. The wire is soft, the wiring is convenient, the graphics card can be placed at will. 6. 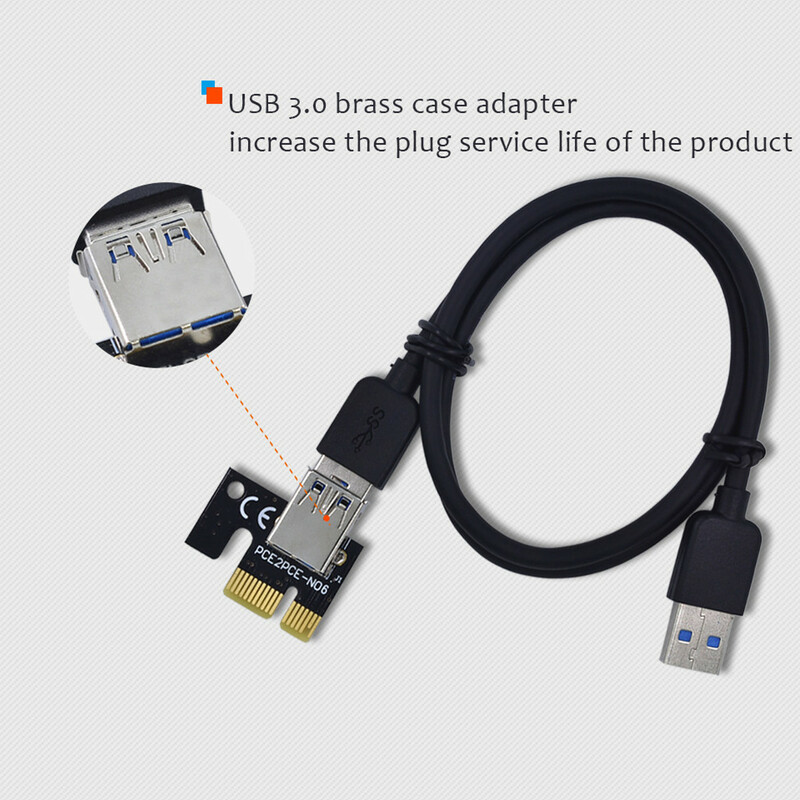 The PCI-E connector plug is fully gold-plated, which is more wear-resistant and increased in electrical conductivity. 7. The slot has a fixed clip to facilitate the removal of the graphics card and the fixed graphics card so that the video card does not fall out of the slot. 1. This extension cable is for motherboard PCI-E slot (1X 2X 4X 8X 16X). 2. When inserting or unplugging the PCI-E extension cable, you must disconnect the cable from the computer and insert the cable. The matching cable is customized. Please don't just plug in a line! 3.Plug line must recognize the direction, do not insert the reverse or offset position, to prevent burning equipment, plug the line, first hold the device outlet, and then plug the line, to avoid excessive force will be pin socket. 4.1X to 16X only 1X signal, and some devices may not recognize, please know. 5. 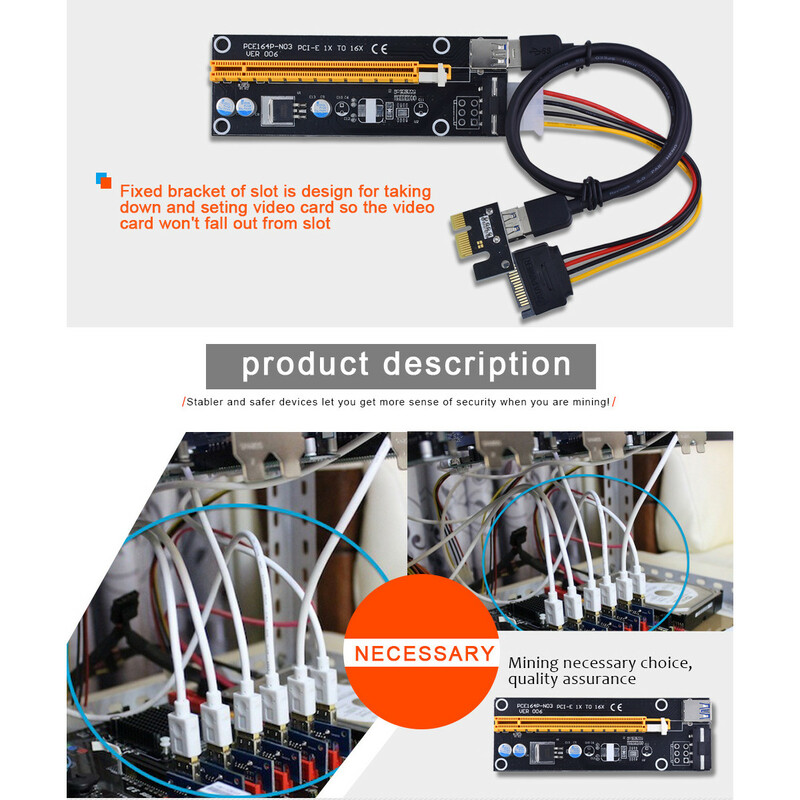 Large 4pin for the power standard parts, insert the power supply, please check whether it is inserted in place, plug the line must be careful. 6. 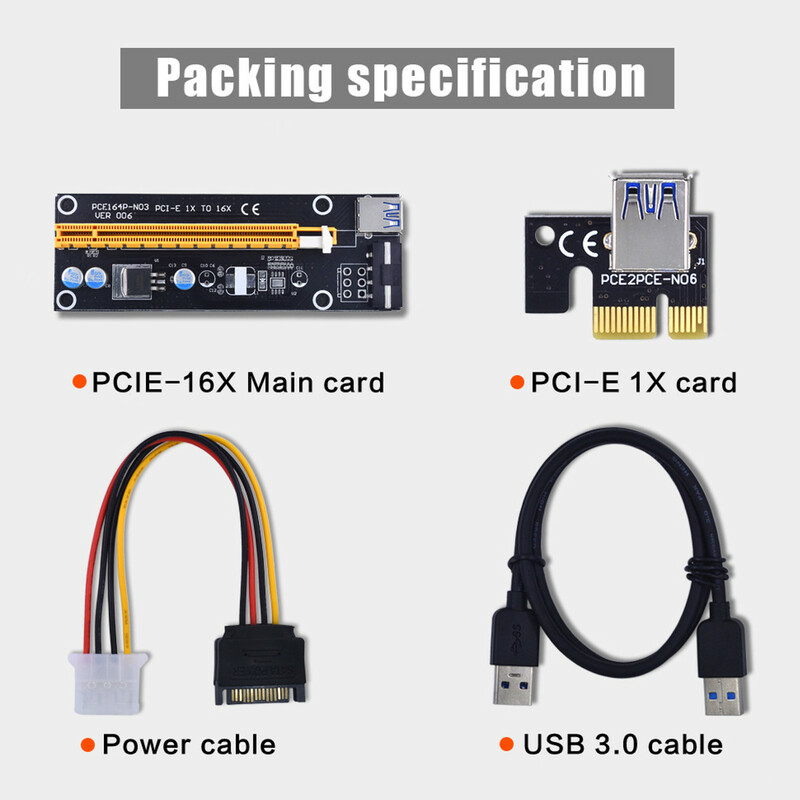 Dual-core graphics card with the old cable, the motherboard is 16X are also recommended to use the old cable Oh! ! !